No 3 in a series of reviews of iPhone/iPod Touch apps useful for English literature and language learning and teaching. 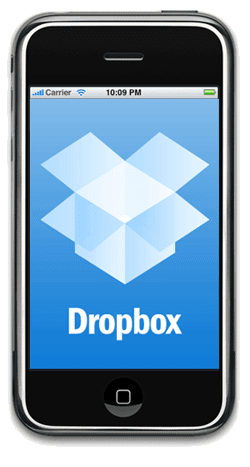 Dropbox is a clever service that seamlessly links files on your iPhone, computer and the web. It's easy to use, and the app has lots of possibilities for pupils and teachers: write notes for your exam, and keep mobile copies on your device ... and an easy way for teachers to refer to files in class without using a computer. It's impressively slick. Of course, as with many of these reviews, this would be useful for lots of other subjects, too. Full list of features here, including sharing folders. The app can be downloaded for free via the link here.